It's that time of year folks — the time to receive school supply email lists, the time for Target back to school commercials, and the time where you find colored pencils and glue sticks in the shampoo aisle at Walmart. Back to school shopping is upon us folks! 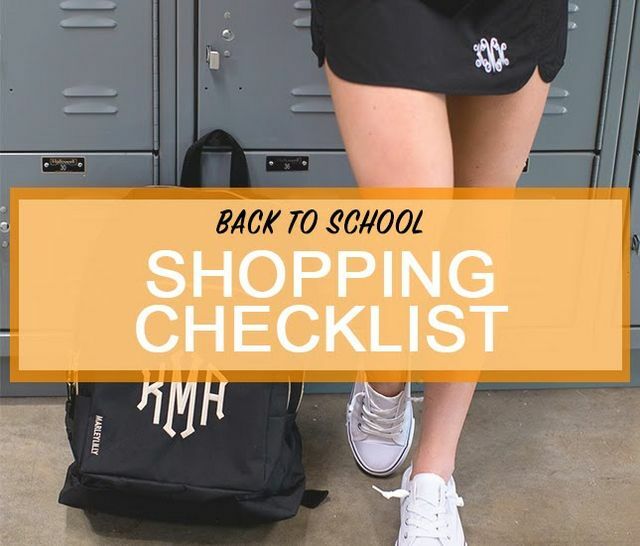 Grab this back to school checklist and get started early on your shopping! With the Marleylilly Back to School Sale, you can quickly and easily check things off of your shopping list! Whether you are dreading going back to school or super excited to be reunited with your friends, back to school shopping is upon us and it is time to get this party started! Plus, who doesn't like cute clipboards, agenda stickers, and new clothes?! What is on your back to school checklist? Let us know in the comments!